This year Krishna Janmashtami falls on 2nd September, 2018. Those ardent followers, who wish to offer their prayers to the Lord, do make note of the right timings and muharat that serve as the most auspicious moment which can be rightly used to offer your prayers and derive the Lords blessings. So learn more about the timings and prepare yourself accordingly so that you can offer your prayers at the most auspicious timing. You can also refer this page to your near and dear ones so that they can as well offer their prayers to the Lord so that in return they can as well seek the Lords blessings and remain blessed throughout. 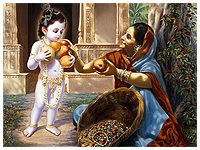 Krishna Janmashtami is also known as Krishnashtami, Gokulashtami, Ashtami Rohini, Sri Krishna Jayanti and Sree Jayanthi. This year 2018 Krishna Janamashtmi falls on 2nd September and 5244rd Birth Anniversary of Lord Krishna. This page lists Janmashtami according to Smarta Sampradaya and makes a footer note if it doesn't coincide with Janmashtami day observed by the ISKCON. All the rules that are followed during Ekadashi fasting should also be followed during Janmashtami fasting. You cannot consume grains during Janamashtmi fasting until the fast is broken on next day after sunrise. Parana which means breaking the fast is done at an appropriate time as suggested by the Pandits. During Krishna Janamashtmi fasting, Parana is done on the next day after sunrise when Ashtami Tithi and Rohini Nakshatra are over. If sometime the next day, Ashtami Tithi and Rohini Nakshatra don't get over before Sunset then fast can be broken during day time when either Ashtami Tithi or Rohini Nakshatra is over. Sometimes it happens that neither Ashtami Tithi nor Rohini Nakshatra is over before Sunset or even Hindu Midnight ,then one should wait to get them over before breaking the fast. Sometimes Krishna Janamashtmi fasting might continue for two complete days depending on the end timing of Ashtami Tithi and Rohini Nakshatra. Devotees who are not able to follow two days fasting, break their fasting the next day after sunrise and it has been suggested by Hindu religious text Dharmasindhu. We have seen that most of the time, Krishna Janamashtmi is listed in two consecutive days where the first one is for Smarta Sampradaya and the other one is for Vaishanava Sampradaya. The Vaishanava Sampradaya date comes after the Smarta Sampradaya. When Janamashtmi falls on a single date, it means that both Sampradayas have observed Janamashtmi on the same date. 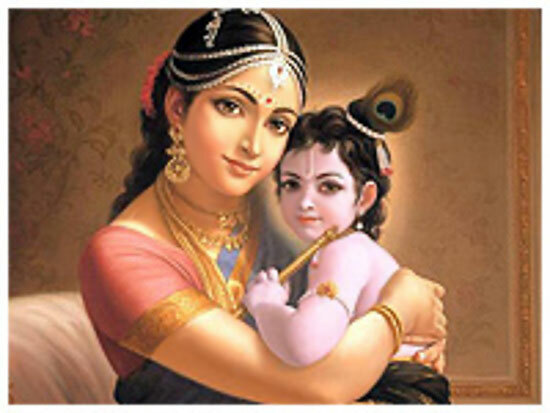 ISKON Followers have unity in choosing the date for Janamashtami which basically depends on the institution of ISKON.ISKON stands for International Society for Krishna Consciousness and is founded on the principles of Vaishnava traditions. Followers of ISKON are the followers of Vaishnavism. 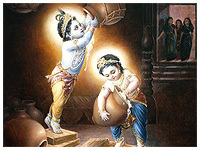 They celebrate Janmashtami on the day chosen by ISKCON. Smarta followers do not follow ISCON date for the Janamashtmi fasting. 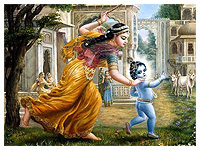 ISKCON date to observe Janmashtami is commonly followed in Braj region. Generally, People who do not believe in Vaishnavism are followers of Smartism. Dharmasindhu and Nirnaysindhu are the two Hindu religious texts which have well defined rules to fix Janmashtami Day and if you are not the follower of Vaishnava Sampradaya then you should follow those rules. We can see during Ekadashi fasting , rules for Smarta and Vaishnava communities are different. However there is more awareness about different Ekadashi rules followed by Vaishnava Sectarian. Like Ekadashi, Vaishnava fasting day for Janmashtami and Rama Navami might be one day later than Smarta fasting day. People who follow Vaishnavism give preference to Ashtami Tithi and Rohini Nakshatra and they never observe Janmashtami on Saptami Tithi. According to Vashnava Rules Janmashtami day always fall on Ashtami or Navami Tithi on Hindu calendar while Janmashtami day according to Smarta rules always falls on Saptami or Ashtami Tithi on Hindu calendar.